This is an absolutely horrible photo of me but it has some of my favorite people in the world in it and for that I have to love it. Girlfriend's or your Sisters from another Mister are beyond some of the most important people in a gal's life. No one tells you when you graduate college and leave that you might not live in the same city with them again and those nights where you all got ready in the same house - which are some of my favorite memories - will be few and far between. Or maybe people do tell you but you don't listen - this is a likely opinion. 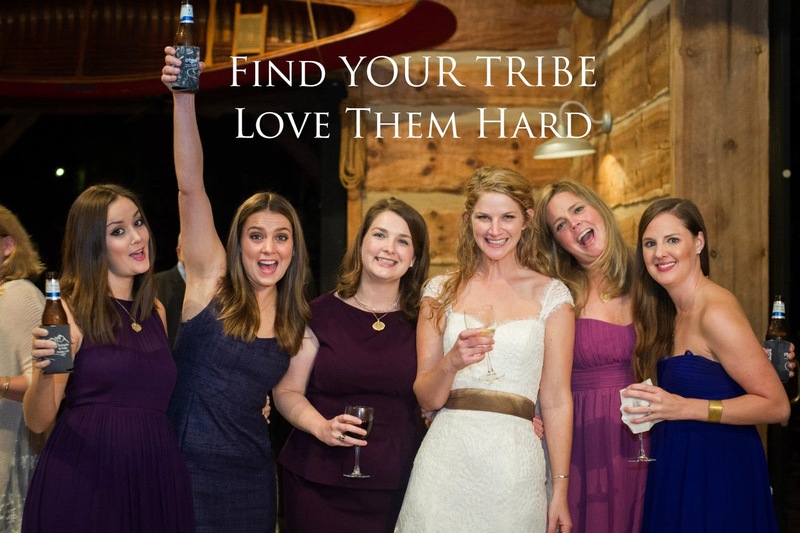 I feel so blessed to have a tribe of girlfriends that have been there for me through thick and thin. The kind of friendships where even if you haven't seen each other in a year you pick up exactly where you left off and you can be yourself completely and truly. The type of friends who literally know every single thing about you - this is rare and should truly be cherished and nourished. Friendship like every other relationship should be cultivated and nurtured over time. It can't last if you don't make the effort to maintain it. I thought I would let you know a few ways that my girlfriends and I keep in touch and make sure that we are always touching base in each other's lives. 1. Group Message - This is one of the easiest and most simple ways to touch base and check in with each other. A funny joke, a bad day, a movie we should watch - I love this running message and it makes me so happy to feel up to date with everyone. 2. Pick up the Phone - Sometimes life can be hectic and text message can become our main form of communicating. Let me tell you though, nothing beats actually hearing and connecting with your friends over the phone or Facetime - I recommend having a Saturday or Sunday coffee date and picking a time to call and catch-up. My besties and I do this and having it planned like this makes it a reality. 3. Snail Mail - Who doesn't love getting goodies in the mail. I try to be really good about this - shout out to Julz who is the best at Snail Mail goodies! Holidays, Just little notes letting them know you miss them, etc. Snail Mail is the best. 4. Girl's Trips - My girlfriends and I made a pact that we would absolutely have a girl's trip twice a year, once in the Spring and once in the Fall come hell or high water. I think this is one of the most important things you can do and no matter what is going on in your life try to make it a priority. None of us have babies yet, but I know that even when we do we will still make it a priority because it is so important for us to maintain that friendship. I would love to know some of the things that you do to maintain those important friendships in your life? As always thank you so much for reading!